Like I said before, my roommate and I had a Cinco de Mayo party. It was awesome, but the cooking took quite some time and a lot work. 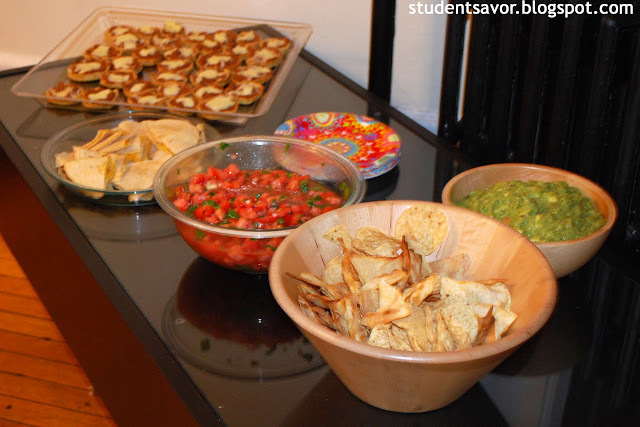 When I decided to make an array of Mexican dishes to introduce my friends to the reality of Mexican food I did not realize how time consuming it was going to be. Needless to say, I was freaking out before the party. 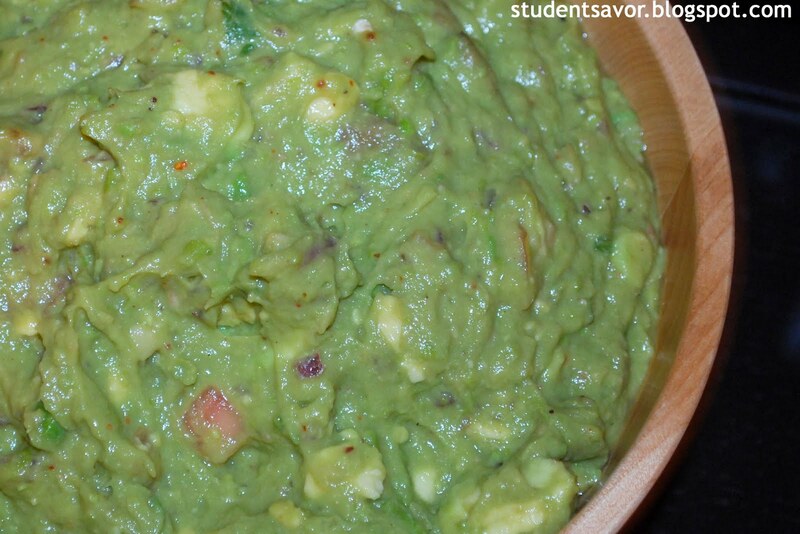 But in the end everything turned out great... and everybody loved the guac! I made quesadillas--the real way, with just cheese--, sopes, guacamole, pico de gallo, tortilla chips, and margarita cupcakes. Here are my notes on each of the dishes. Quesadillas were made with fresh tortillas with the Maseca I had from before and, unfortunately, a blend of shredded cheese (due to the lack of real Mexican cheese in Boston). Sopes, a traditional Mexican dish, consist of a tortilla-dough base filled with beans and topped with cheese, cream, lettuce, salsa, etc. I only did the cheese topping because everything else would have been messy, but the best way to have them is with everything! The guacamole however was the show stealer. I got many compliments on it. 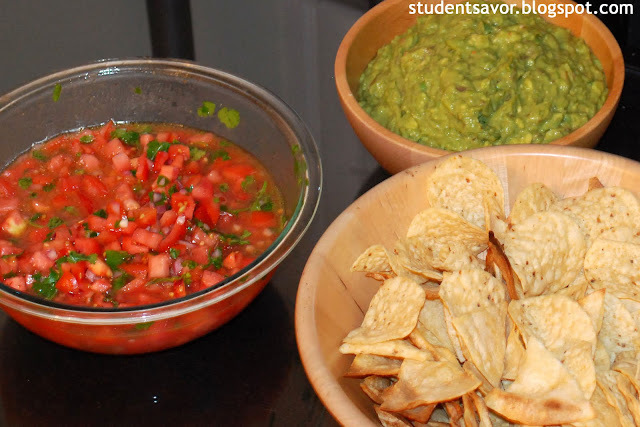 It was a mixture of several recipes, including some left over Trader Joe's pre-made guac. 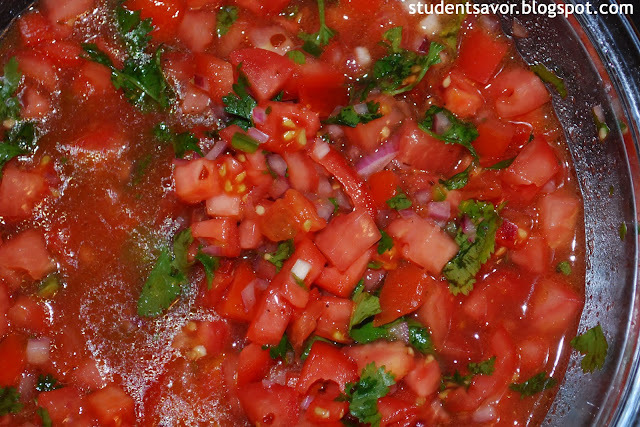 Pico de gallo, as always, was delicious and easy to make. 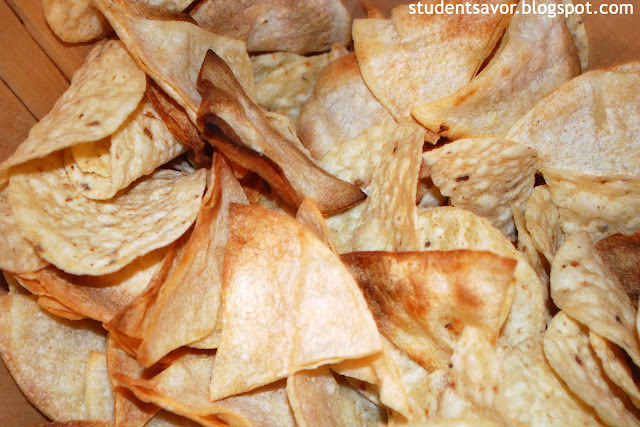 The tortilla chips were of two kinds: home-made and store bought. Needless to say, I prefer home made, but I did not have enough time to make more. 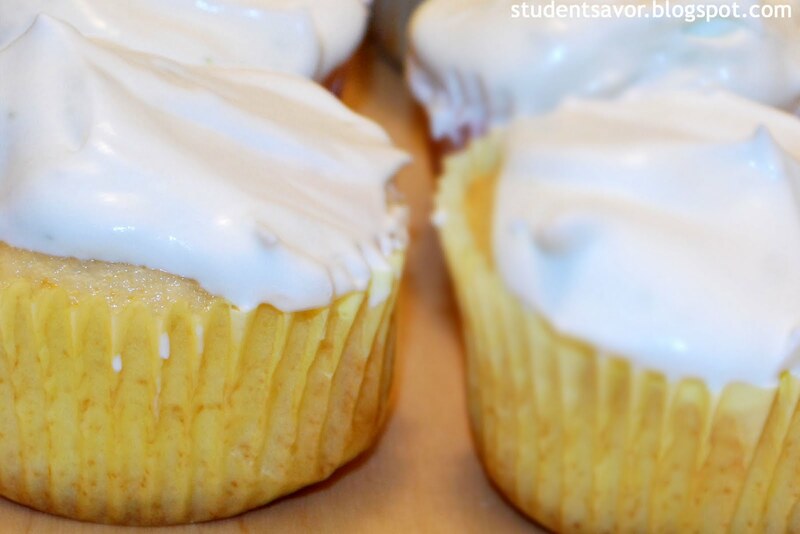 And for dessert, margarita cupcakes. I must say I am not a big fan of cupcakes. 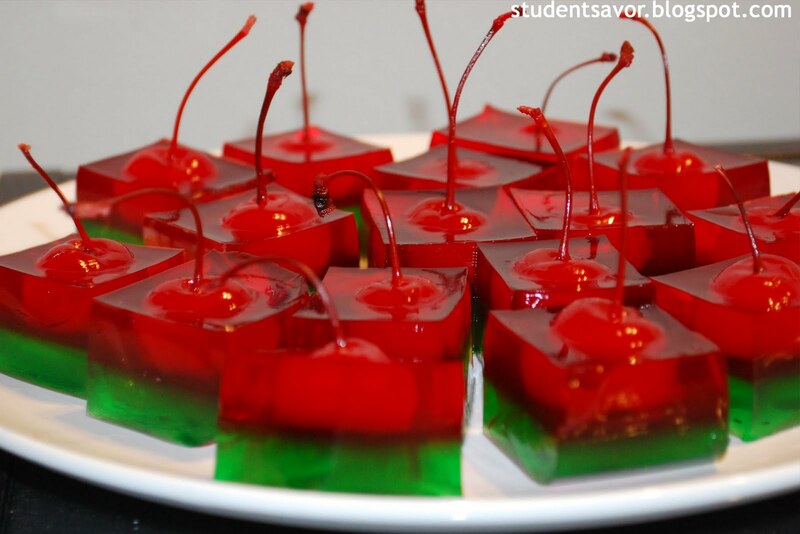 I do not know why, but they never really amaze me, so I must confess that I have no idea how they tasted. They seemed to be a crowd pleaser though. Preaheat oven to 200 F.
Combine Maseca, water and salt in a large bowl. Using your hands, knead dough until it is formed, adding more water if necessary to keep it moist. You want the dough to be moist, but not wet. Cover dough with damp towel to keep moisture in. Heat a pan over medium-high heat. Roll dough into 1-inch balls and place between two pieces of plastic wrap. Flatten into discs, less than 1/4 inch thick, about 1 cm. Place discs on pan and cook for one minute. Flip and cook about 1-2 more minutes. Take each disc and carefully pinch the sides to create border, keep in mind that discs will be hot. Set aside and repeat with rest of the dough. Heat oil in saucepan over medium high heat. Once hot, fry sopes until golden, about 3-5 minutes. Drain sopes on paper towels. Heat refried beans over low heat in a small pot. 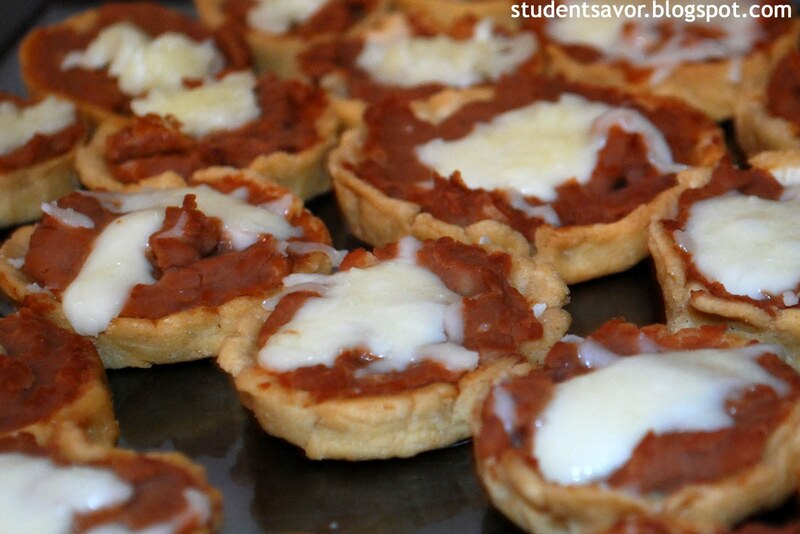 Spread a thin layer of beans on each sope, staying inside the border. Sprinkle shredded cheese over each sope and place on rimmed baking sheet. Turn oven off and place sopes inside to keep warm until served. Combine first five ingredients in a large bowl until well blended. Add avocados and blend while mashing. Add lime juice, one at a time, and stir to combine. Add cilantro leaves and mix in carefully. Season with S & P.
Preheat oven to 325 F. Line 24 baking cups with cupcake liners (if you only have a 12-cupcake pan, use it twice, keeping batter in refrigerator while first batch bakes). In a small bowl, combine crushed pretzels, butter, and sugar until blended. Spoon 1//2 teaspoon mixture into each muffin cup. In a large bowl, beat cake mix, margarita mix, oil 2 teaspoons lime peel, and egg whites until combined, scraping bowl to incorporate. Divide batter among muffin cups, filling about 2/3 of the way. 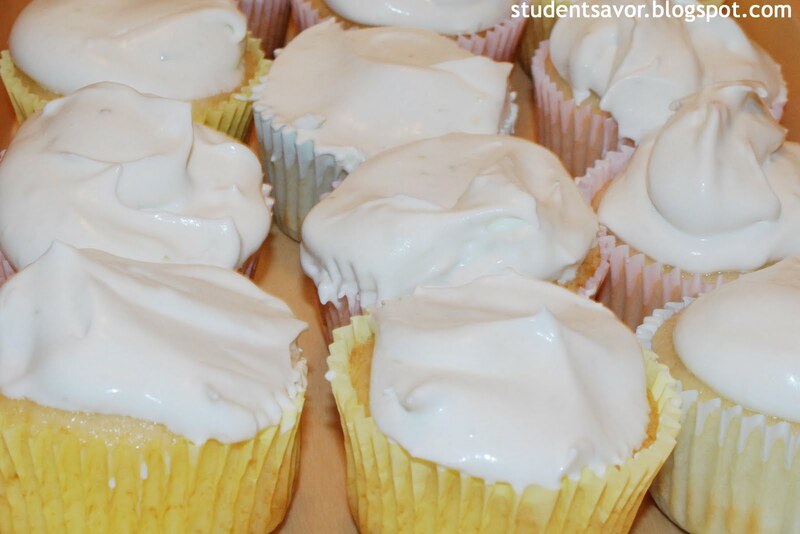 Bake cupcakes fro 18-20 minutes, or until toothpick inserted in middle comes out clean. Cool cupcakes completely. In a medium bowl, combine whipped topping, yogurt, and 2 teaspoons lime peel. Whip until soft peaks form. Frost cupcakes and serve. 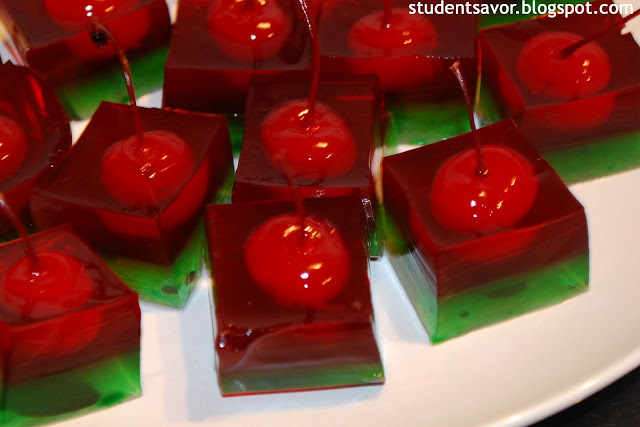 And last but not least, I made Mexican-colored jelly shots with a recipe from Jelly Shot Test Kitchen. This blogs is amazing! If you have not visited it yet, do so now; believe me, you will not regret it. Me encanta lo entregada que estás en el blog! Jajaja que bueno que les enseñaste comida mexicana de verdad. Ojalá también les hayas explicado que aquí no celebramos el cinco de mayo, porque hasta donde se, yo SI tuve clases ayer jajaja. Te extraño!